In January 2014 I founded the worldmusic Project "Mala Isbuschka". We play traditional music from the middle east, balkans and central asia. Additionally we add some of my own compositions to the program. One of my oldest projects is "Lavender", founded in my hometown Gießen. We mix elements of soul and folk with pop music. at the moment we perform mostly in trio. Since summer 2014 I am the steady bass player of the indian inspired Jazz-Formation "Max Clouth Clan". 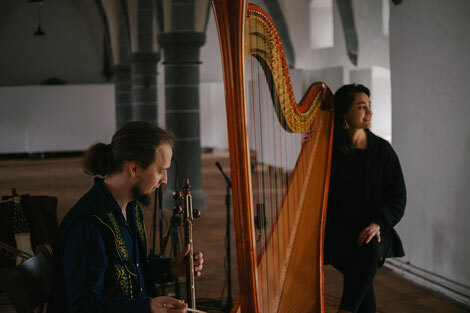 The project "Aramesk", lead by aramaic singer Maria Kaplan plays mainly old aramaic songs and music of the arabic cultural area. 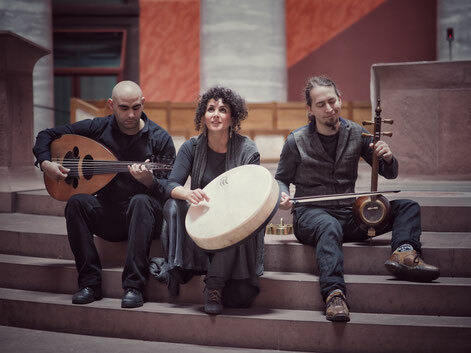 "Sharqstan" - translated "land in the east" is an internationally lined up trio, that performs mainly music of Syria, Afghanistan, Iran, Turkey and the kurdish culture. 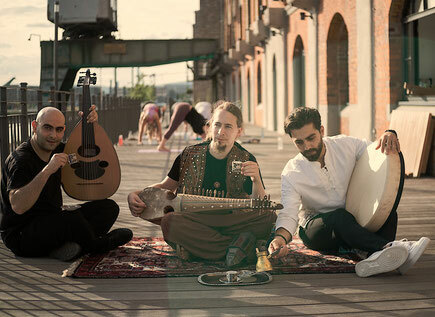 The three musicians got to know each other in Frankfurt and founded Sharqstan in summer 2017.